A secure and lean word processor. Is there a better alternative to SecureWords? 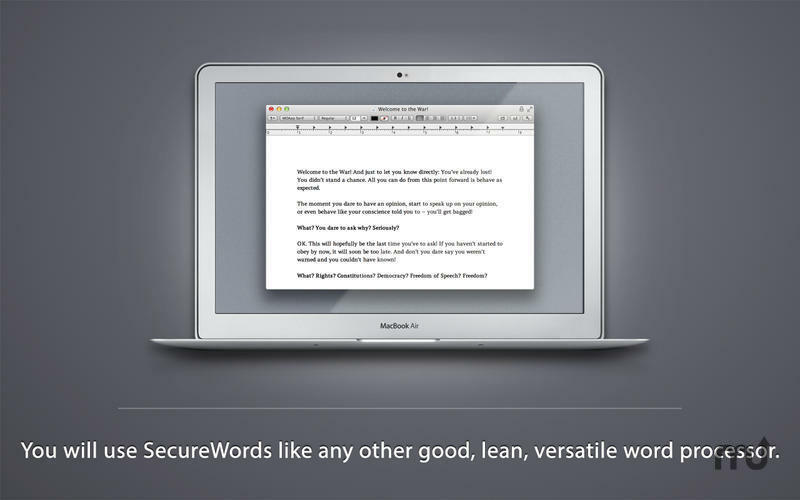 Is SecureWords really the best app in Word Processing category? Will SecureWords work good on macOS 10.13.4? 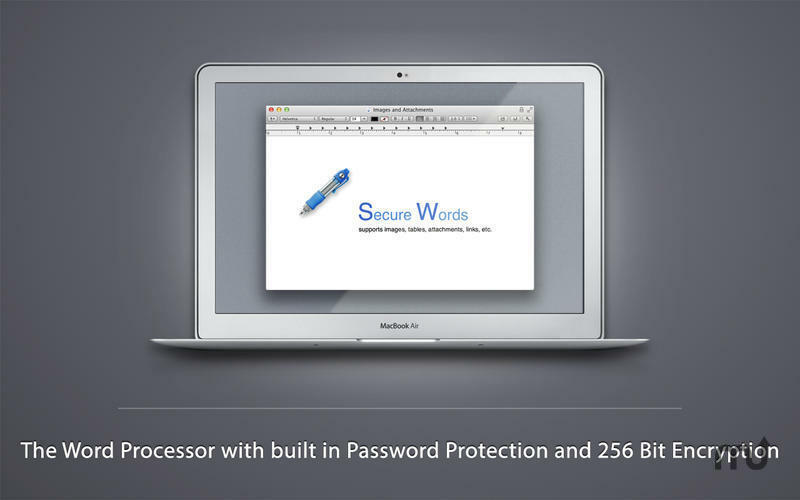 SecureWords is the word processor with built-in password protection and 256-bit encryption. We have encrypted storages for our passwords, we encrypt our emails, our chats, and our journals. But there isn't a single fast, uncluttered, and usable app out there for our articles, for our thoughts, for our words. An App that automatically encrypts and decrypts our text documents so that we can store them even in our Dropbox or on iCloud without having to worry. An app that still handles RTF, OpenOffice, and Word documents. MOApp to the rescue! SecureWords is exactly what you've been looking for! SecureWords needs a review. Be the first to review this app and get the discussion started! SecureWords needs a rating. Be the first to rate this app and get the discussion started! Every document will be automatically encrypted and password protected. You will use SecureWords like any other good, lean, versatile word processor, e.g., Write. But your articles, your thoughts, your words will be safe! 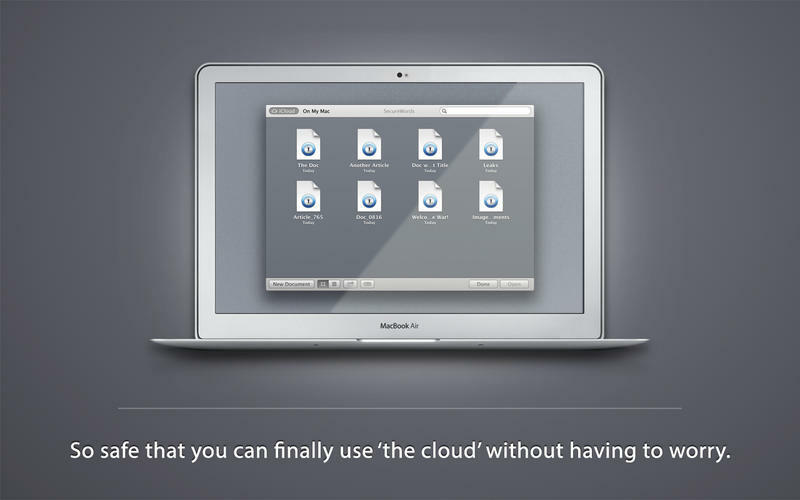 So safe that you can finally use iCloud and Company without having to worry all the time. Of course, you can export them at any time into an 'open' format like Word or Markdown. And yes, SecureWords has more to offer than just changing the font or the color. In the end it's all about words, your words - but you can also attach images and files, or insert tables and links.